"We supply over 6,000 individual products from more than 40 manufacturers"
HJS Wholesale is a premiere distributor of horticultural products and supplies to greenhouses and nurseries in North Western Ontario, Western Canada and North Central United States. 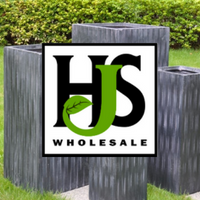 Founded in 1981, HJS Wholesale Ltd. has grown to become a premier distributor of greenhouse, nursery, landscape and indoor gardening products serving more than 1,400 customers. With over 20,000 square feet of warehouse and outdoor space, we supply over 6,000 individual products from more than 40 manufacturers. HJS Wholesale Ltd. Online Ordering uses the following LinkGreen products.